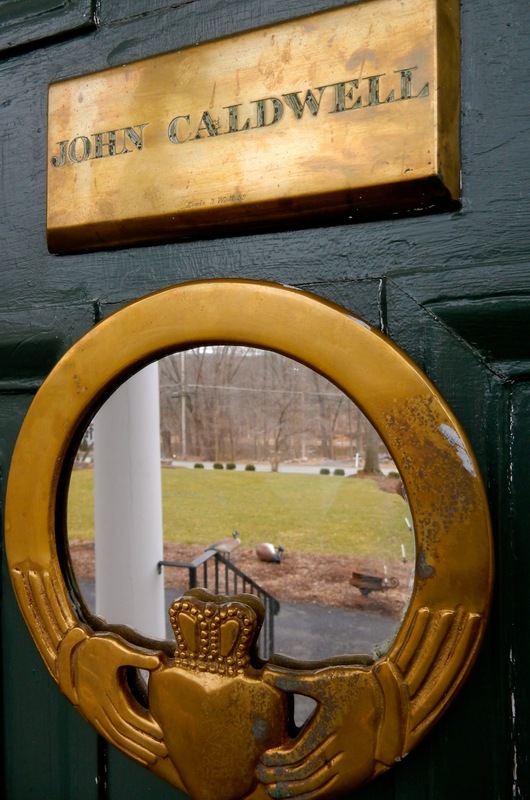 There are shamrocks everywhere in the Caldwell House, a beautiful four-leaf-clover of a Bed and Breakfast in a stately home built in 1803 by a wealthy merchant from Ireland and turned into a B&B in 2000. 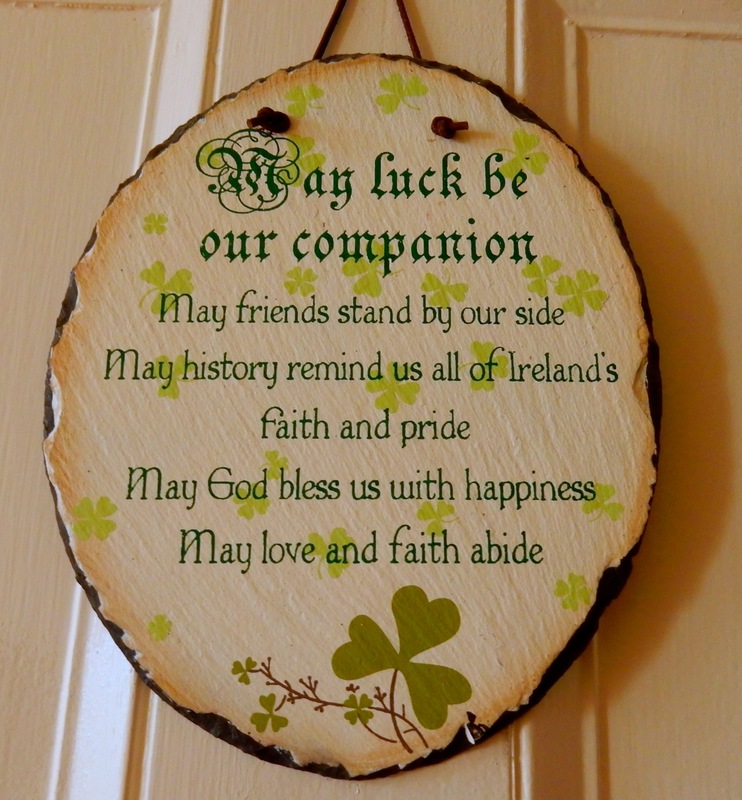 Indeed, you don’t need to have the luck of the Irish to be assured a superb stay in this historic home that’s been wonderfully restored by incorporating original front door, floorboards and other 19th century elements. 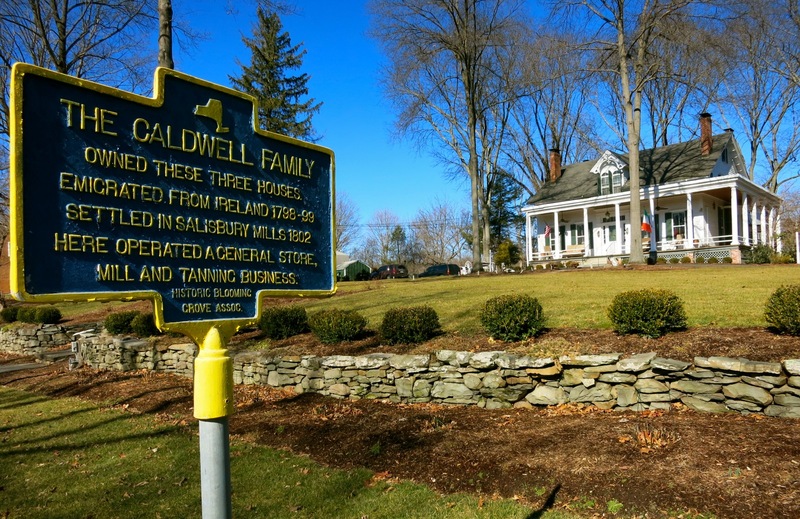 Owned by the spritely Dena and John Finneran, the 14-room Caldwell House, unpretentious in its luxury, is as elegant as the surrounding area is disheveled. So, you may be a bit confused as you drive through “town” – not much more than a columned monument and crumbling stone coalhouse (now an auto parts and repair shop). 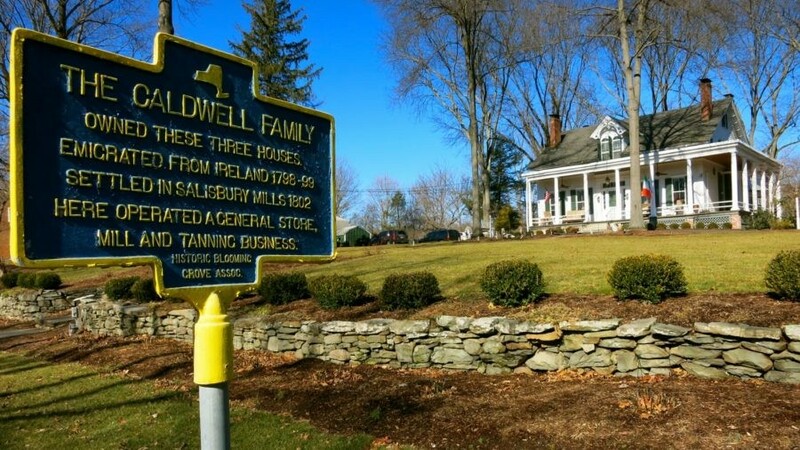 The Caldwells basically built the town of Salisbury Mills NY. 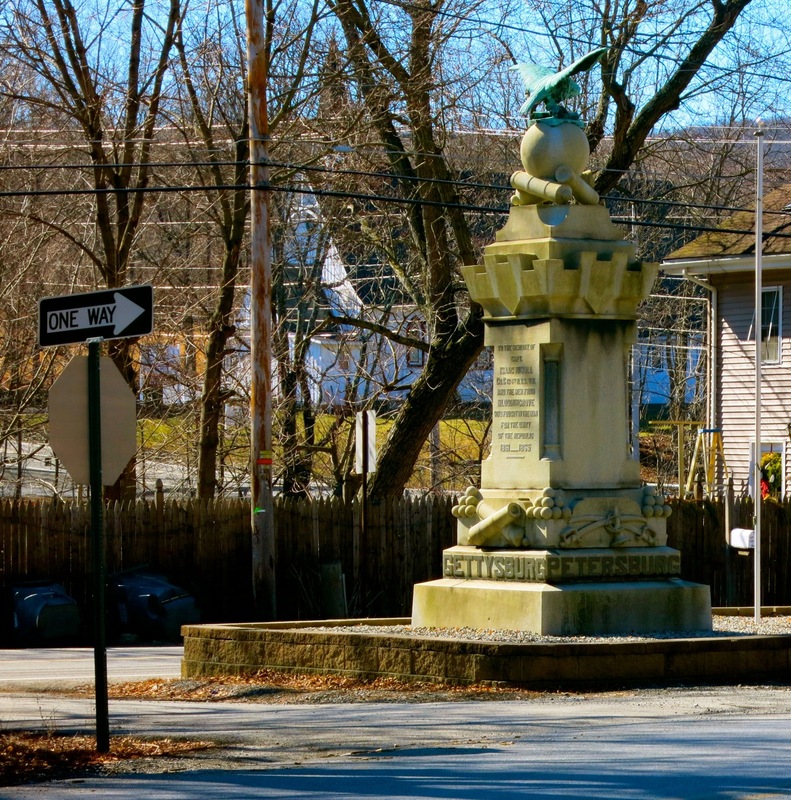 That monument at its center was erected in the early 1800’s in memory of Richard Caldwell, who died in the War of 1812 – updated as subsequent wars claimed more local lives. In fact, there’s a family graveyard on property, where many Caldwell children and their families were laid to rest over the years. You’ll find a warm welcome as soon as you walk through the front door. After a short orientation, Dena and John are unobtrusive, leaving lovebirds, or people seeking a solitary getaway, to their own devices – until needed. (At 10:30PM, they were at my door with a ladder and extra battery – within minutes after I called to tell them that the smoke alarm in my room had started beeping shrilly). In colder months, a gas fireplace illuminates the cozy library, where guests can read or relax. Free wi-fi is available throughout the properties (there are three buildings) and rooms are outfitted with all the modern day conveniences you’d expect in a luxury establishment: flat-screen TV’s, IPads and I-Phone docking stations. Harmony Hill Room in the main house features a very romantic double-sided glass fireplace that allows a peek-a-boo into the tiled bathroom from the cherry wood carved king sized bed. The floral rug atop a polished hardwood floor, and several pieces of antique furniture set off by pastel yellow walls create a quiet, relaxed ambiance. A favorite for honeymooners, it’s both romantic and nurturing at the same time. 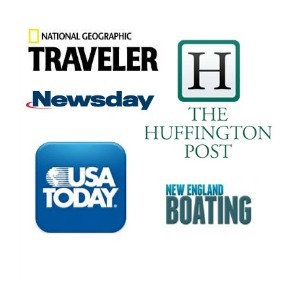 Breakfast is a freshly cooked three-course treat, personalized with a paper placemat welcoming guests by name and providing information about the day’s news headlines and weather. 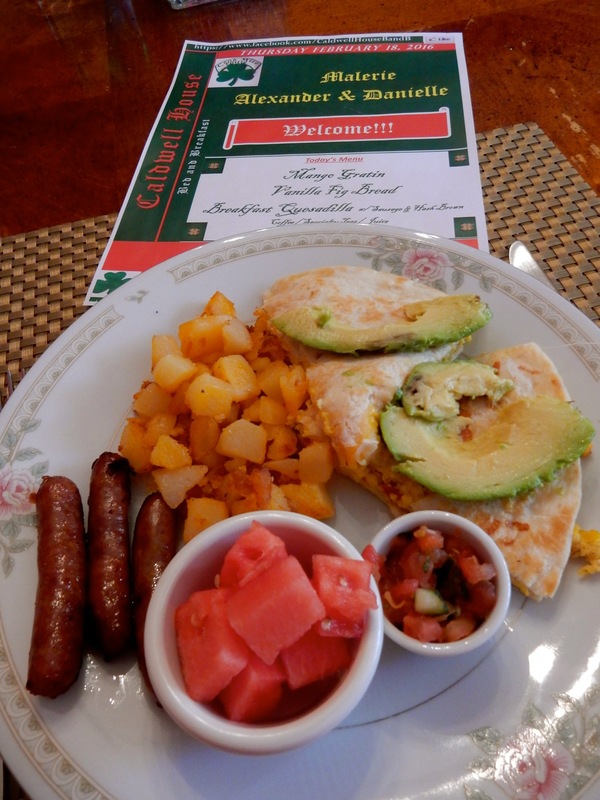 My omelet quesadilla, fried potatoes, sausage and sweet watermelon bites – hearty and delicious – tided me over till dinner. 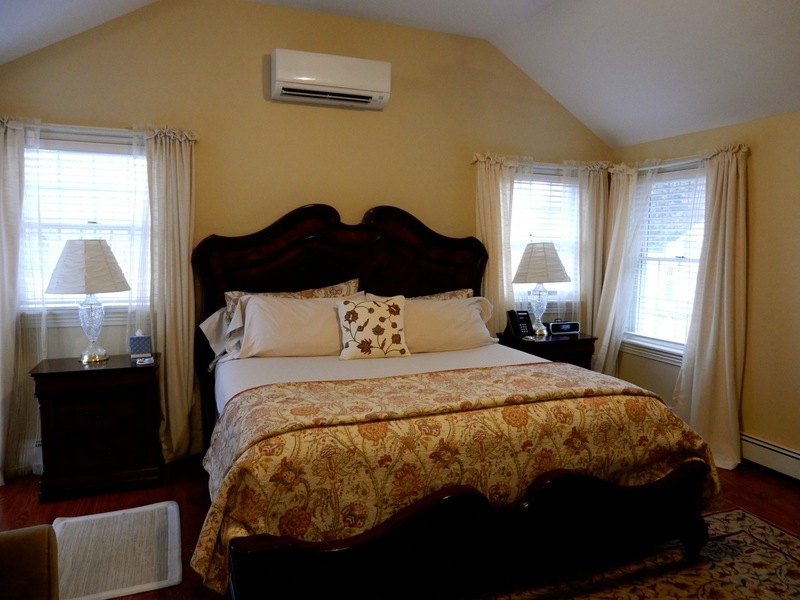 Stay here while exploring West Point and Storm King Outdoor Sculpture Center or while shopping at Woodbury Common and visiting Brotherhood Winery. Rooms $195-$390 depending on season (Harmony Hill from $295-$390) includes soft-drinks, snacks, wi-fi, parking, gourmet three course breakfast. So nice to spend time over Dena’s delicious breakfast quesadillas with you, Malerie! Great write up about a spectacularly special place. We can’t wait to go back!